Tacoma Christian Center has organized an annual outreach holiday event for low income families since 2007. 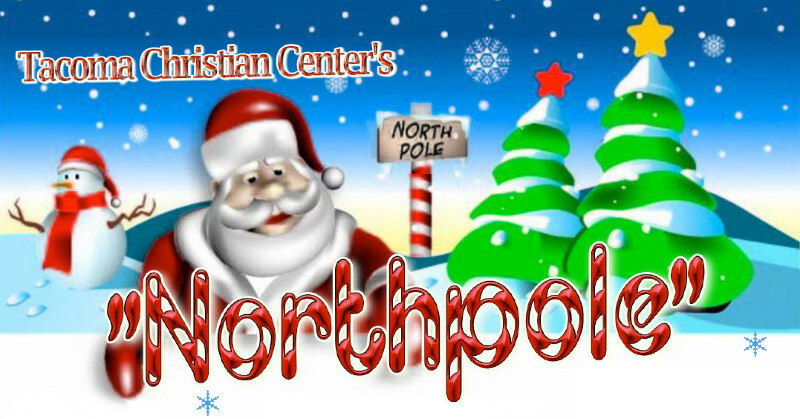 The event provides visits with multi-ethnic Santa Claus & Mrs. Claus along with his elves in an enchanting Northpole setting. Additionally the event offers free photos of your child/children with Santa and a gift as well as entertainment, arts & crafts and even a gift for parents! We can’t have Santa without cookies so we have those too ! The event has served an average of 1,900 people annually. Organizations such as World Vision, Walgreens, Walmart and more have partnered with us to bring this annual event to fruition. If you would like to donate to this worthy cause you may do so through PayPal below. For more information, please contact the church office.